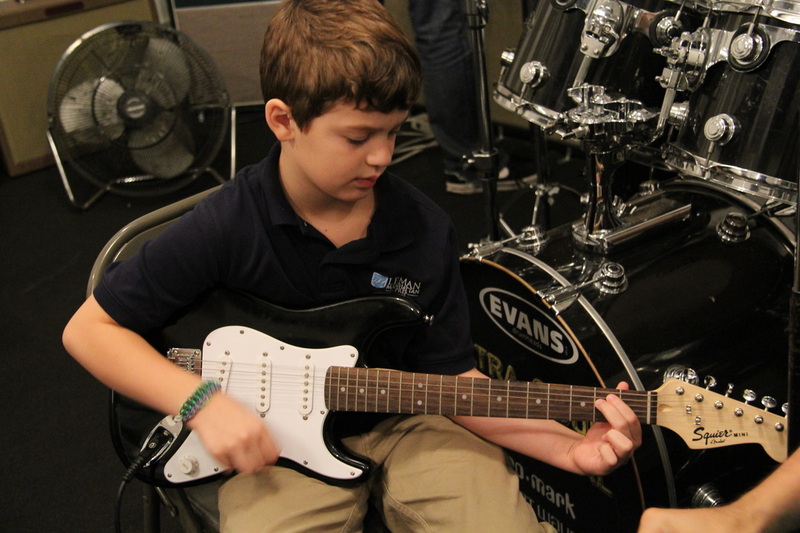 Kids Creative Workshops use the arts and peace education to explore, educate and create. Our workshops build confidence and community by engaging youth and adults in the collaborative creative process and offer tools, strategies and techniques for a range of topics from Conflict Resolution to Story-Telling. 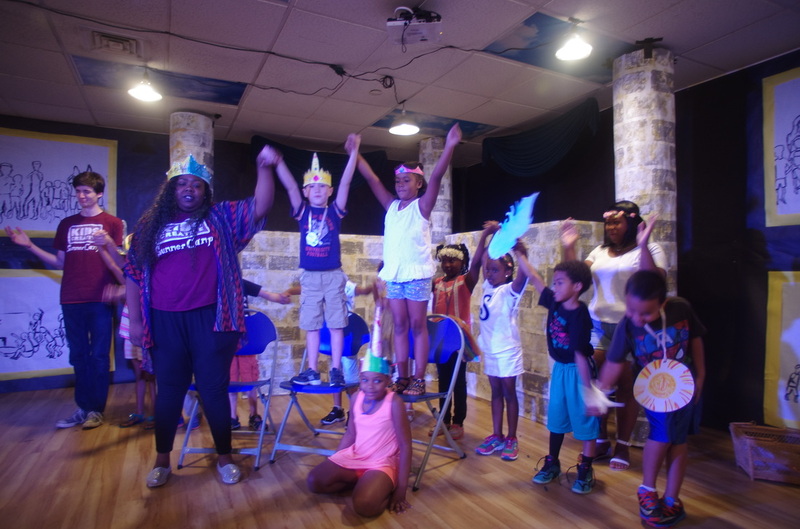 Kids Creative Workshops are rooted in our peace education philosophy where “all ideas are good” and culminate with a performance, sharing or take away. • Or work with us to customize a program to fit your needs! Sing songs, explore instruments and making rhythms. Write an original song then record and produce your own CD and Music Video! 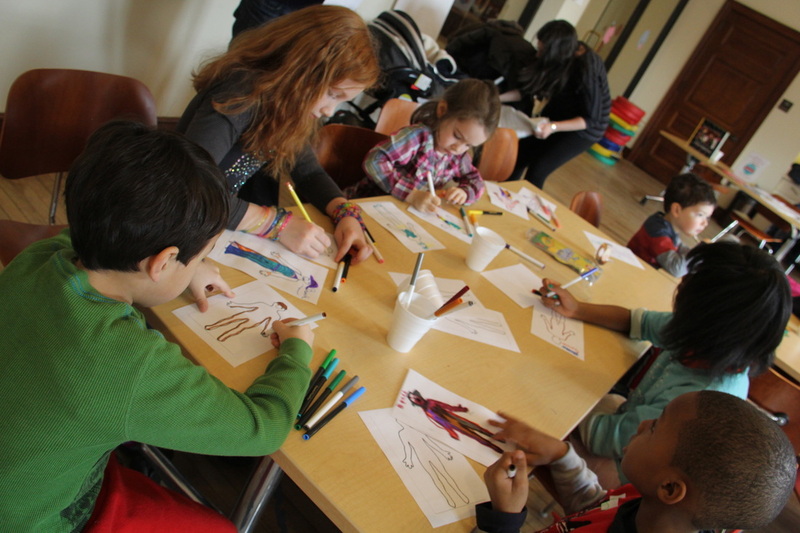 Explore your imagination though arts and crafts activities. Design and create set and costume pieces. Enjoy your very own “gallery opening” where your work will be on display! 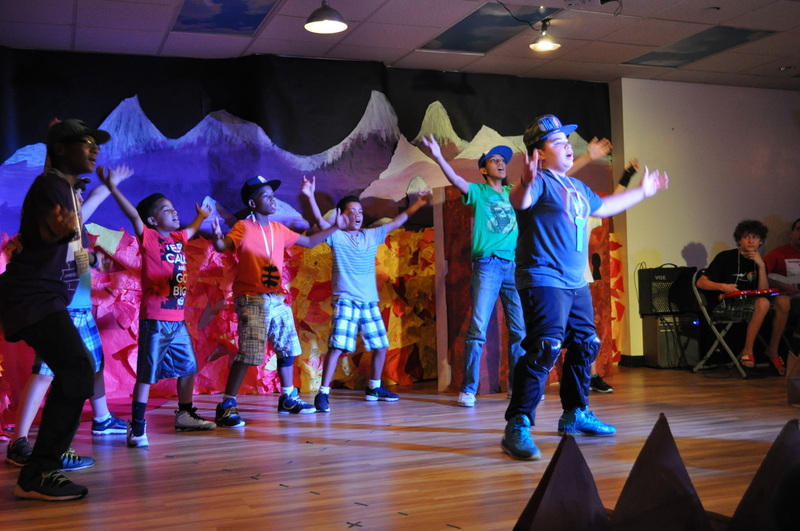 Dance and explore movement inspired by hip hop, Broadway, jazz, ballet and modern dance. Create and perform an original dance! Create your own story adventure through aural, visual and physical brainstorms, improv and theatre games. Work together to write and perform your original story bringing the characters and actions to life! What do you dream about for the future? Explore different artistic mediums and research tools to investigate and present a message about an issue that is important to you and your community. Create a multi-media social action project that not only presents your ideas for the future but actively does something to effect change. Explore how to recognize a healthy or unhealthy relationship through theatre games, music and movement. Share and develop tools for conflict resolution and making healthy choices though role play, scene creation and group discussion. Learn the stories, songs and dances of The Dirty Sock Funtime Band as seen on Nick Jr and Noggin! Create your own adventures and even your own Dirty Sock Puppet! Every child has the right to live without the fear of being bullied. This PD will share the Kids Creative methods and tools for creating a culture where bullying does not need to happen and if it does, is dealt with in a productive manner. Hands-on activities will explore what bullying is, prevention and intervention techniques and you will develop your own bullying recognition and response procedure.